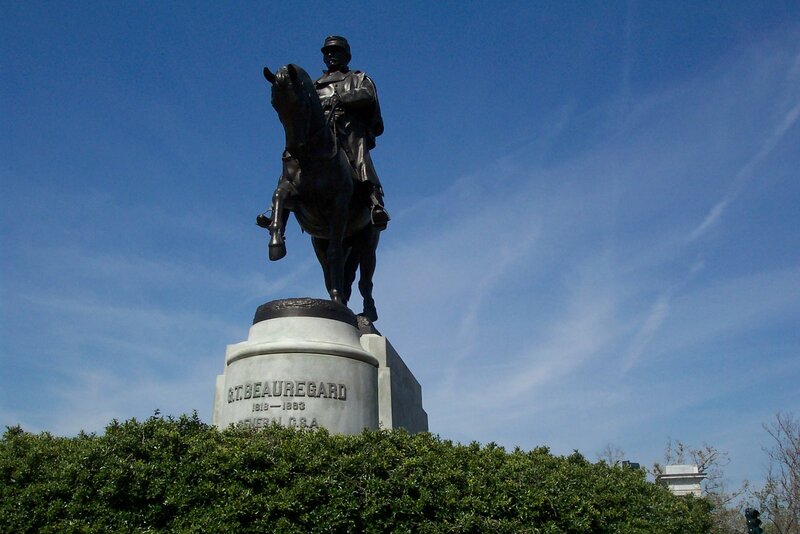 This is the Monument to Gen. Beauregard. He is interred nearby in Metairie Cemetery. This Monument is now classified by Mayor Landrieu as a symbol of White Supremacy. I was under the impression that it was a symbol of State Sovereignty and Federalism (trigger warning: WORDS! ), not that anyone who went to public school knows what that means. But I bet they know what “cultural appropriation” is. Thus goes the Oberlinification of the world. Question to Adults: Who won the American Civil War? I bet that all of these kids have strong opinions about those nasty statues over in New Orleans. That, my friends, is a chicken big enough to feed an army!